Can you even believe it's already MAY?? Today at Some Odd Girl we have a new challenge for the month. Anything goes and the twist is NOT A CARD. Ooooh. this was a bit tough for me, but I ended up really liking what I came up with. 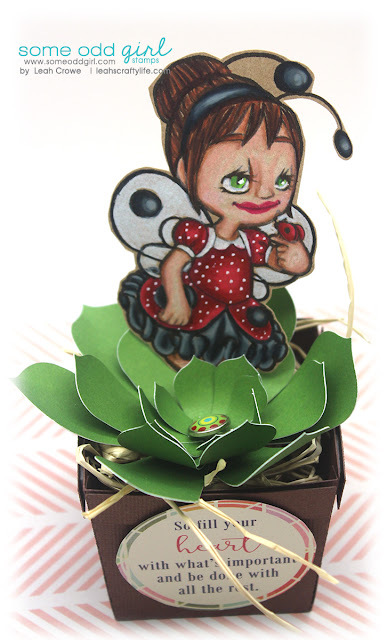 I colored up Lady bug Tia and added her to a succulent I cut from my Silhouette Cameo. I colored Tia up using my prisma color pencils on Kraft paper. Join us for this months challenge. ANY SOG Digi and if you want, the twist. SO much fun!